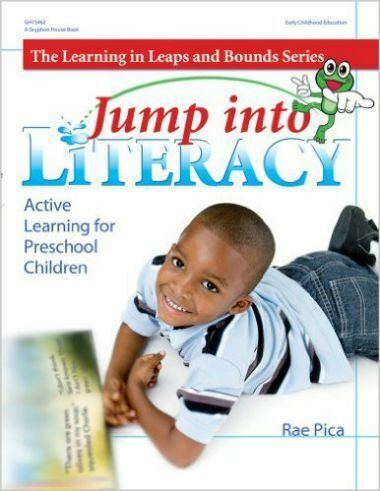 Rae is an educational consultant, keynote speaker, blogger, podcaster, and author of 19 books. She has consulted with the Sesame Street Research Department and the children’s show Blue’s Clues. 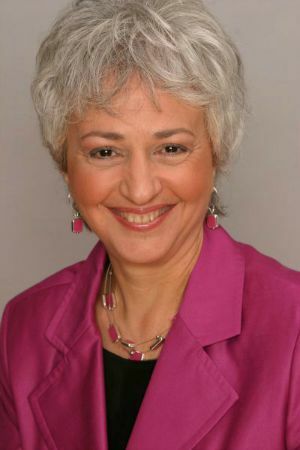 She blogs for the Huffington Post and is a member of the executive committee of the Academy of Education Arts and Sciences. 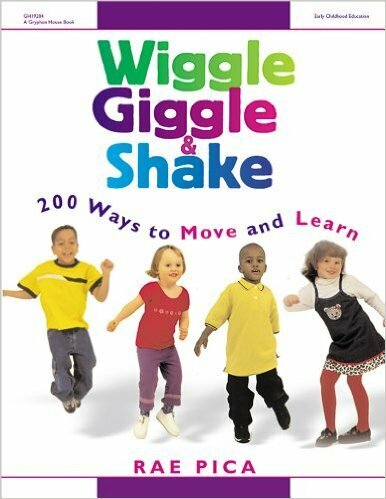 The main focus of Rae’s books is on the importance of movement in learning. 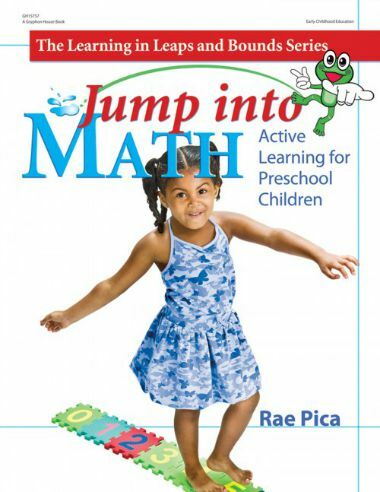 A few of her titles are: Moving and Learning: Toddlers; Moving and Learning: Pre-Schoolers and Kindergartners; Moving and Learning: Early Elementary Children; Experiences in Movement and Music; Jump into Literacy; Jump into Science; Jump into Math; Wiggle, Giggle, and Shake; and A Running Start. 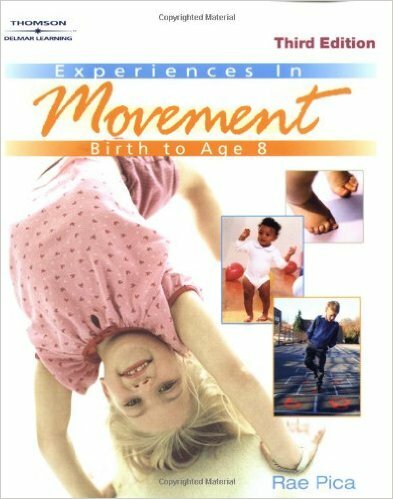 This excerpt from her Home page reveals her thoughts about children, learning and movement. 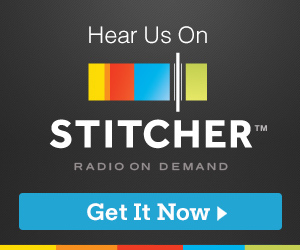 Listed at the end of these show-notes are several links from her web page, Facebook page, Twitter, her podcast network, and an interview with The Cool Cat Teacher, Vicki Davis. On today’s show we focus on her latest book, What if Everybody Understood Child Development? This is an amazing book. 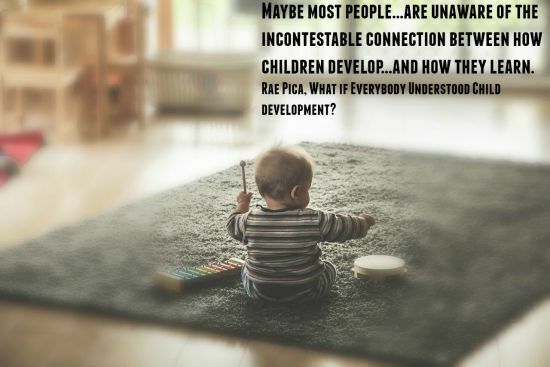 Rae pulls no punches as she talks about her concerns that too many people making decisions about how and what children should be taught know little to nothing about the growth and development of children. 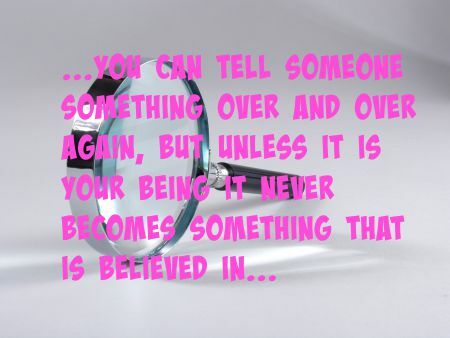 · The Earlier the Better? · When Did a Hug Become a Bad Thing? 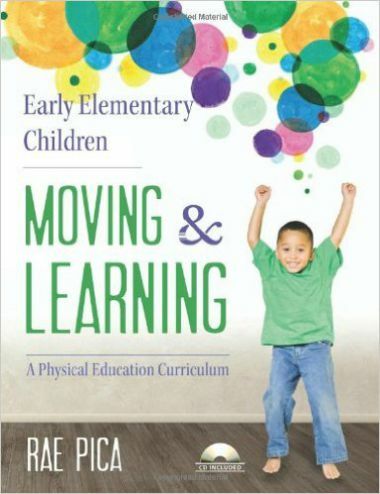 · Why Does Sitting Still Equal Learning? This is a book that every educator, whether in the classroom or not, every politician, and anyone who works with children should read. 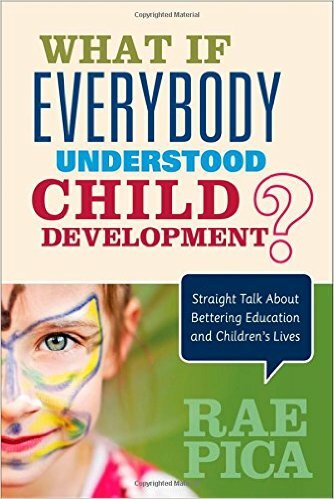 I hope that you will take time to make “What if Everybody Understood Child Development?” your next book to read. 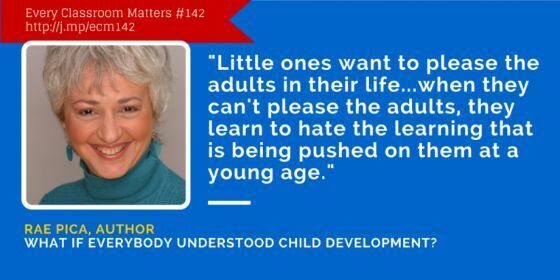 It will get you fired up about the difference you make and angry about what is imposed upon the classroom that has nothing to do with how children learn. As a principal, I was amazed at how many new teachers did not understand how to write letters or resumes to get my attention. Many of them also failed to understand how to go about targeting and selecting schools and systems where they would one day like to work. This workshop will address those issues and so many more. We will also focus on how to prepare for an interview and what to do during the interview. 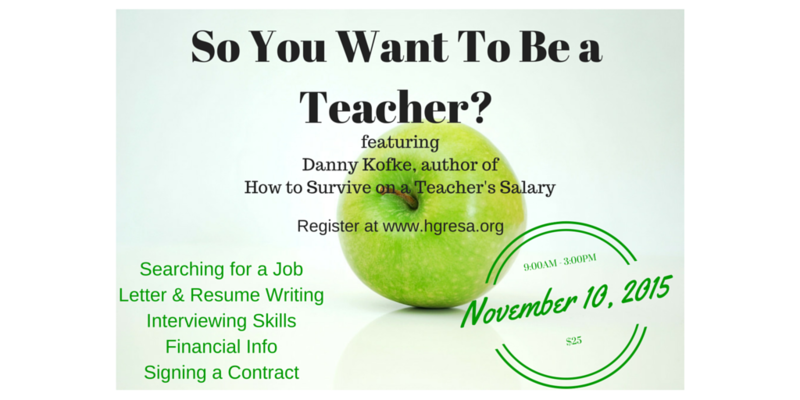 Danny Kofke, a financial guru and author of several books including How to Survive on a Teacher's Salary will speak and talk about the financial choices you will be asked to make when you sign your contract. We will also look at contracts and what they mean. 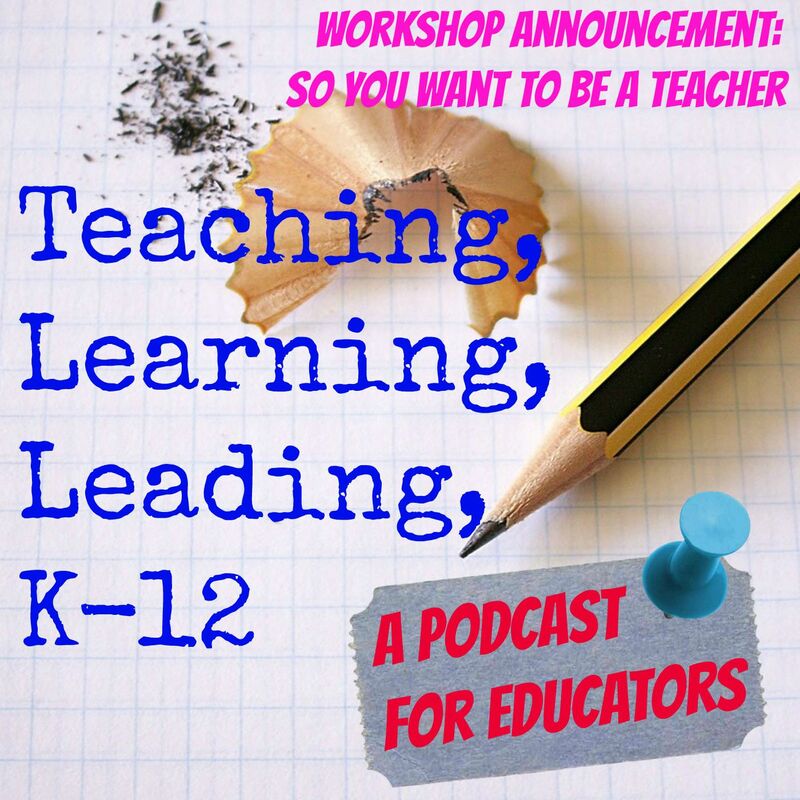 Our target audience is pre-service teachers, new teachers or teachers looking for a position. Representatives from local school systems will be available. Hope that you can make it or share this announcement with someone who might be interested. Go to www.hgresa.org for registration and other information. Bob Cresswell has always been a change agent. He sees the world as it should be and he has never been afraid to take the risks to make a difference. As a teacher, school administrator and now educational consultant Bob continues to urge educators to do what is right. He was a high school principal for over thirty years who made it possible for teachers and students to work together to help the kids learn how to use their minds well. Over the next couple of months, Bob will share with us some thoughts about leadership in schools. 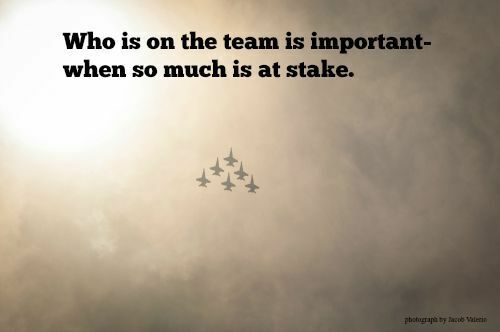 Focus on the Team, Not the Dream. 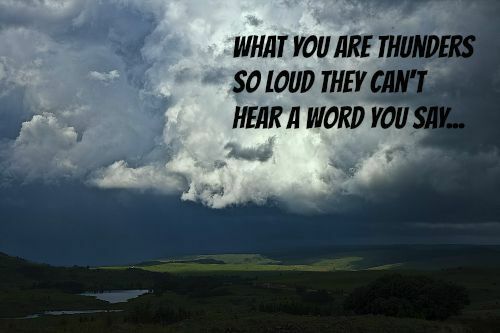 It sounds easy and may make you want to look at me and cough out a mountainous- Duh! 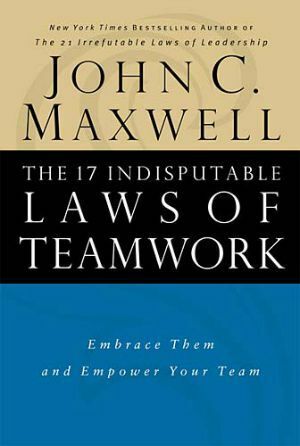 But...today, my team building tip is so common that leadership guru John Maxwell devoted a section in his book, The 17 Indisputable Laws of Teamwork, to it. The members are important: Who those members are and their capabilities and skills that they bring speak loudly. 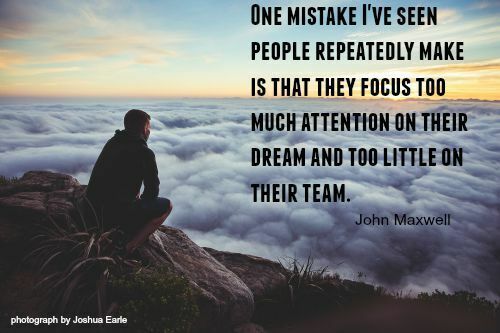 The dream will happen as part of your vision casting but first make sure that you focus on building that team. Do you have students who would love a career path that kept them outside? Would they struggle if they had to stay in a cubicle or office that had four walls and no windows? Do like to be around wildlife and help people? After listening to Conservation Ranger 1st Class, Allen Mills, you will have an outside alternative to share with the kids. 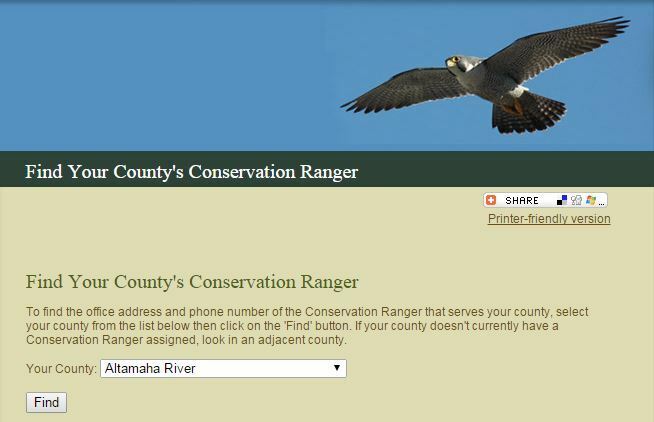 We talk about what a conservation ranger is, how you become one, and what a typical day is like. His office is his truck and he spends more time there and in the wilderness than he does in his office. He enforces laws designed to protect wildlife and humans. He responds to emergencies like rescuing boaters, helping hunters who have had tree-stand accidents, and helping during floods and other natural disasters. Many rangers teach safe practices for being in the Georgia wilderness. How many other jobs might you have the opportunity to drive a boat, ATV, or truck? Not many. Allen is an awesome representative for the Ranger program. He has a great sense of humor and tells it like it is. 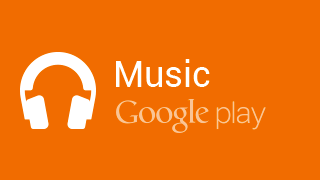 I enjoyed our conversation and I think you will too. Please share this with students who may be looking for a direction and would love to combine the outdoors with law enforcement. Check out these links or call the Metter, Ga office for more information.